A scientist from the Hebrew University of Jerusalem, Israel, has recently reported the successful production of human collagen replicas from tobacco plants. This achievement has multiple commercial implications and it could help clinicians greatly, since collagen is used in a variety of human medical procedures. Collagen is a group of naturally occurring proteins and it’s the main protein of connective tissue. Although it is the most abundant protein in mammals (making up about 25% to 35% of the whole-body protein content), it is not as common to find, since natural collagen can be found exclusively in animals. Therefore, many researchers are looking for artificial methods to produce it. Commercial collagen, also known as type I pro-collagen, is used in many fields. For instance, it helps create gelatin, which is used in many foods, including flavored gelatin desserts. Other industries that utilize collagen include pharmaceuticals, cosmetics, and photography. Now, professor Oded Shoseyov of the Robert H. Smith Institute of Plant Sciences and Genetics in Agriculture at the Hebrew University of Jerusalem (HUJI) has succeeded in producing a replica of human collagen. 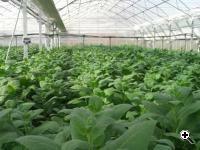 According to his study, published recently in the journal Biomacromolecules, the fact that his source is abundant (tobacco plants) makes his research both practical and profitable. Market evaluations estimate that the medical aspect of collagen production has a potential for annual revenue greater than $30 billion. Traditional methods, employed by worldwide manufacturers, produce commercial collagen from farm animals such as cows and pigs; some companies even use human cadavers. 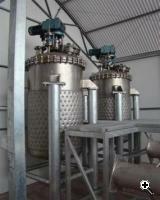 These materials are prone to harbor human pathogens such as viruses or prions (e.g. mad-cow disease). Moreover, human cadaver is scarce, and for many people such usage raises ethical issues. Producing human recombinant type I pro-collagen requires the coordinated expression of five different genes.Professor Shoseyov has established the first laboratory in the world that has reported successful co-expression all the five essential genes in transgenic tobacco plants. 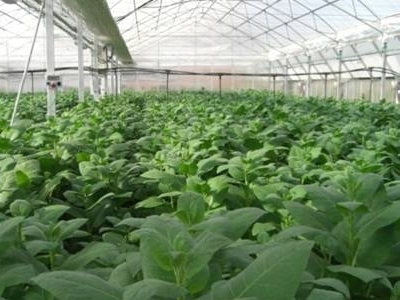 The study details five steps required before the final formulation was achieved: cultivation of the tobacco plants, proper harvest of leaves, crude extraction, proteolytic conversion, and protein purification. For Professor Shoseyov’s accomplishment, fully functional processed pro-collagen, he was granted the Kaye Innovation Award. Furthermore, his invention has been patented and its commercial use will be handled by the Israeli company CollPlant Ltd.
TFOT has also covered the creation of super-strong collagen, made at the University of Wisconsin-Madison, and the development of artificial skin, a product that could benefit pharmacologists, chemists, and doctors who often have an urgent need for “skin models”. Another related TFOT story is the invention of the Orthomimetics Scaffold, a joint replacement scaffold that coaxes the joint bones and surrounding cartilage tissue to slowly regrow rather than relying on permanent metal replacement joints. For more information about the manufacturing of collagen from transgenic tobacco plants, see the Hebrew University’s press release.